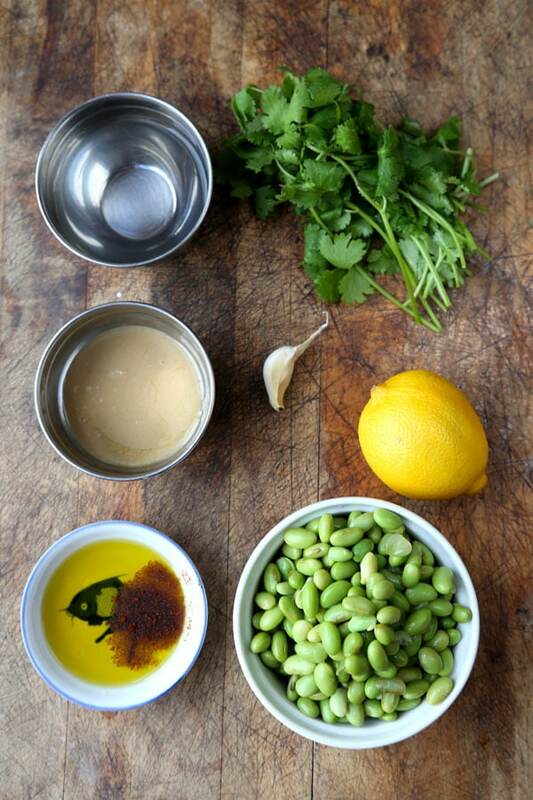 Who knew you could do so much with edamame! For the longest time I used edamame the way it’s classically served in Japanese restaurants – boiled and lightly seasoned with salt. I knew edamame beans were healthy for me but couldn’t picture myself sucking on boiled, salted pods every day and so I began experimenting with these little green beans. Well, it didn’t take long before I realized how easy it is to work with shelled edamame beans! Because I was so used to seeing them served in their pods, I pretty much forgot that they can be used just like any other beans; in soups (like this velvety edamame bean soup), salads, ‘fish cakes‘ and dips! Making edamame hummus is almost the same as making chickpea hummus but looks prettier and tastes really healthy. 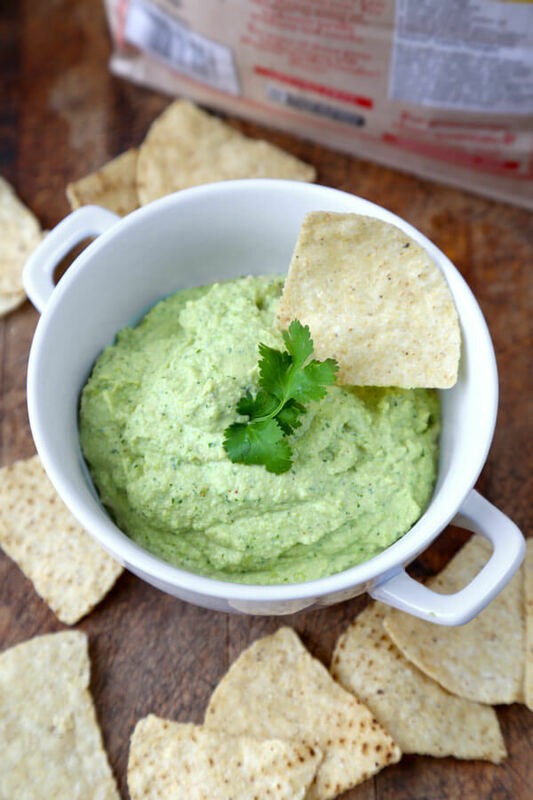 Ben calls this edamame hummus recipe a hummus guacamole! The color makes you think it’s guacamole (especially when it’s served with nachos) but take a bite and you quickly realize it’s more hummussy (I like making up words) than guac. 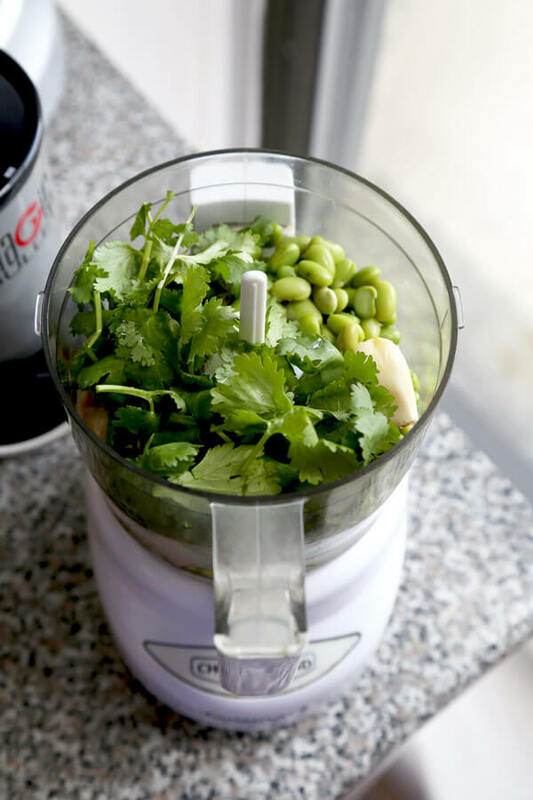 A little tahini is used to help smooth the naturally crunchy texture of the edamame beans and I put a good handful of cilantro to make it taste clean and fresh. This edamame hummus can be used as a sandwich spread with chicken, fish, tofu or cheese, or you can eat it straight up with a spoon. It’s that delicious! It’s a healthy snack I often keep in my fridge for those late night cravings or whenever I’m hosting a little get together at my place. 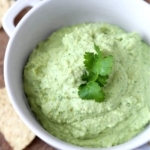 My friends love this edamame hummus recipe! The fact that it’s very healthy but tastes naughty is what’s so enticing about this edamame hummus dip. Having people at your house? 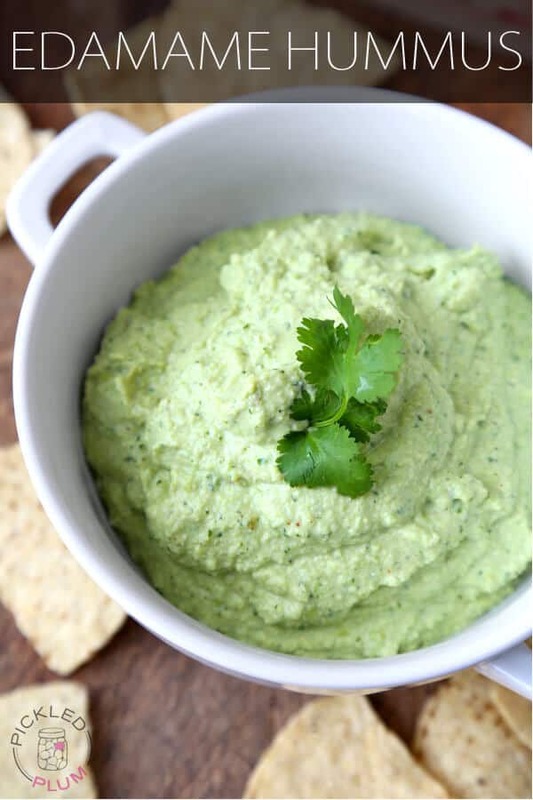 Serve this edamame hummus dip alongside other healthy snack options like this olive oil, honey and apple cake, salt and vinegar baked kale chips, fennel and olive ciabatta pizza, and a gorgeous bowl of fall vegetables with goat cheese. 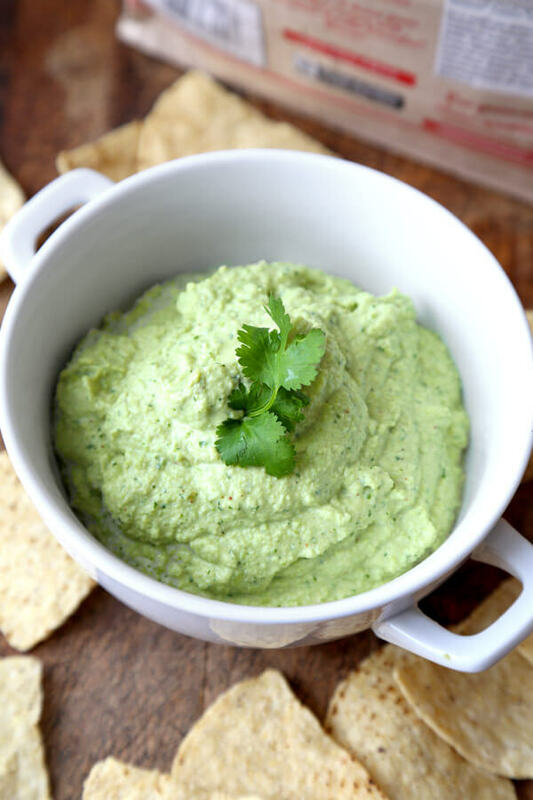 A vibrant bowl of edamame hummus with cilantro that’s both healthy and delicious! 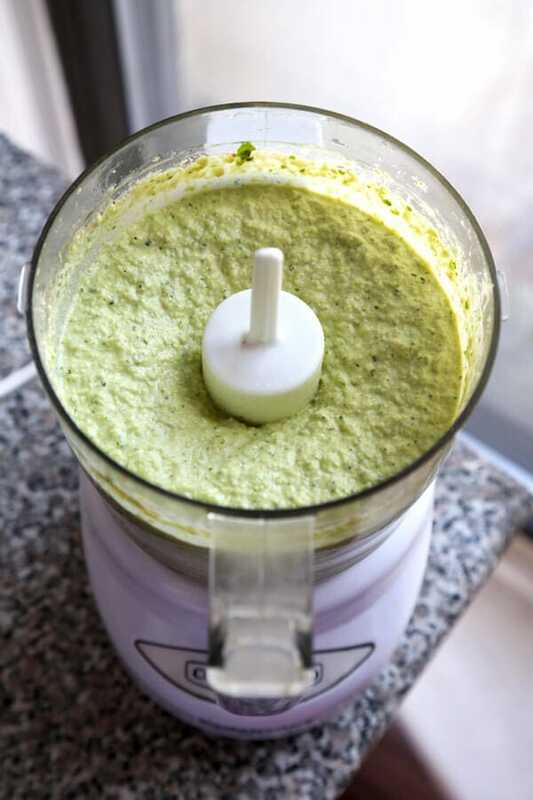 Put all the ingredients in a blender and puree until smooth. Serve with nacho chips or pita bread.